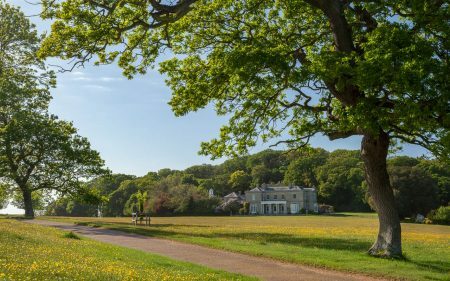 Wander through Sheringham Park and you'll discover why it became the personal favourite of its designer, Humphry Repton. Visit the ever-popular annual IGPOTY outdoor exhibition to see stunning large format winning images in a glorious outdoor setting. Famous for its vast collection of Rhododendron and Azalea, the last owner, Tom Upcher held Rhododendron champagne parties in the '50s to show them off. Ladies would arrive in their fine gowns, some wearing Wellington boots to walk down the main carriageway, sipping champagne and admiring the colours. Today, you can climb to the top of the towers to experience breathtaking views of this beautiful landscape, the North Norfolk coast and maybe spot a steam train passing through. Spend a day here exploring 1,000 acres of varying habitat including woodland, parkland and clifftop. Look out for wildlife, 3 species of deer can be seen alongside a wide variety of birds and butterflies. 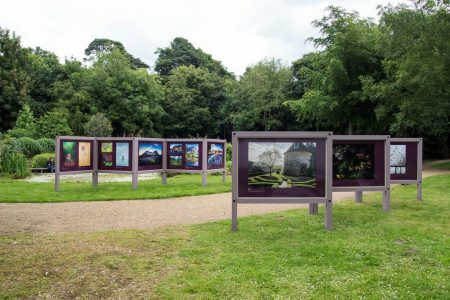 Below are a selection of photos on display at National Trust Sheringham Park. Click to view full size.